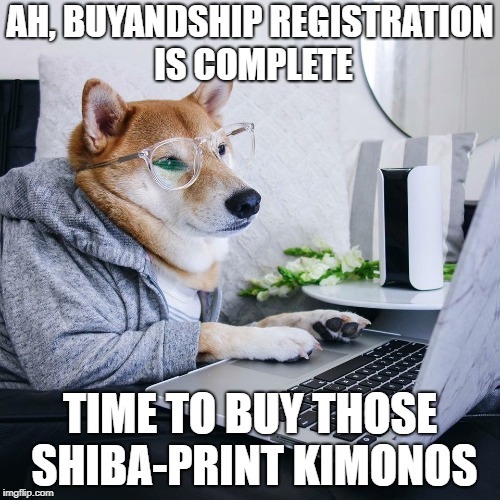 Hello, fellow Buyandship expert! It’s good to see you again, and we’re happy that you’re having such fun easily buying and and shipping from overseas to your doorstep. Oh, you’re not a member? You haven’t yet joined the hundreds of thousands of Buyandship members that use our service every day? No worries, friend! You’re just a few quick steps away from enjoying fast, cheap, international shipping on whatever you buy from the UK, the US, Korea, Japan, China, and Hong Kong. Come check out 👉Part 1: Intro and Registration👈 to learn more about us and how to register for free! Excited? Great! Then let’s get started! 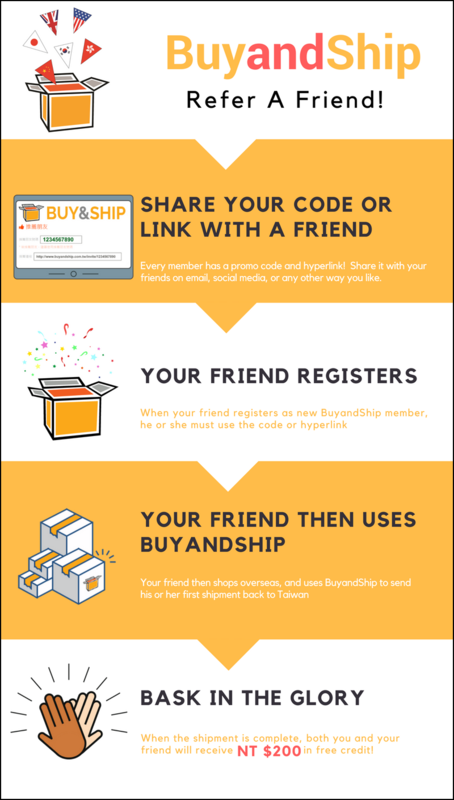 First log into your account at https://www.buyandship.com.tw/login. Once you’ve landed in the Member Center (會員中心), click on the seventh option in the left-hand navigation bar: Refer a Friend (推薦朋友). That big 10-digit number is your referral code, and the hyperlink below is your referral link. 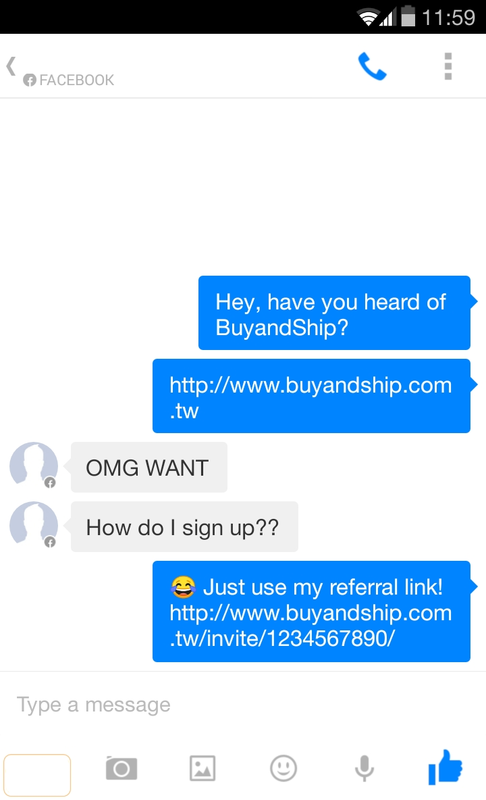 Share your code and / or referral link with your friends! Any method works: email, Facebook, Line, et cetera. If you want to be extra helpful, you can also include a link to Part 1 of our series, so your friend can learn more! When your friend registers as a new member, at some point they will land on the Account Profile (個人資料) page. A little further down the page, there is a field for Referral Code / Promo Code (推薦朋友號碼 / 推廣碼). If this field is empty, your friend should simply type in your referral code. Your friend then needs to finish the new member registration. 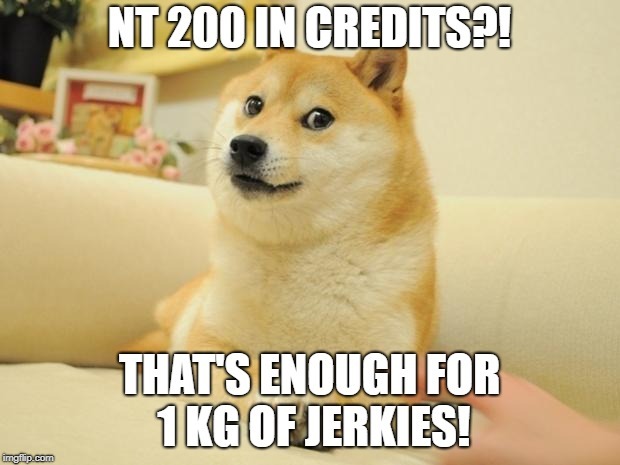 Next, when your friend completes their first shipment and pays for the shipping fees, both you and the friend will receive NT 200 in points! Lastly, there are a couple of terms and conditions to go over. Your referral code only works if your friend uses the same country site as you. For example, if you’re a member based in Taiwan and use the Taiwan site, your promo code won’t work for a friend that lives in Singapore. Don’t have a friend with a referral code? No worries, you can still sign up! Every new member gets NT $120 in free shipping credit, so shipping your first pound with us can be less than USD $1. Click below to get started! © 2019 E-BUY GLOBAL LIMITED All rights reserved.